Why Are People Leaving NZ? Why Are You Leaving NZ? What’s It REALLY Like In New Zealand? 6 Years In, Stay Or Go? Thinking About Teaching In New Zealand? Why Can’t Asians Find Work In NZ? Brit Feeling “Foreign” In New Zealand. How About You? Migrant Tales – I am young and I want to get out, Can you help me? Six years in New Zealand now I’m back in France. The UK Plumber’s Tale – Problems with the NZ Plumbers, Gasfitters and Drainlayers Board? Which is Good New Zealand or Australia? Green Credentials, Or Green Wash? What’s It Like To Live In NZ? Armed Offender Squad & Armed Police Incidents – All About Safety? 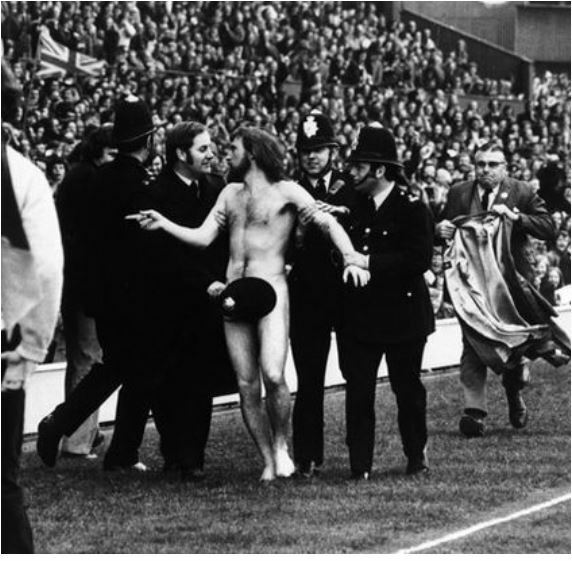 Remember the days when streakers at matches were politely led away with a policeman’s helmet covering their groin? “The streaker invaded the field in the second half of the match. He did not make it far. After tackling him, the guard holds the streaker in a headlock before two others join him to drag the man from the field. The video has caused divided opinion among online commentators. Some said the pitch invader was ”destroyed” or ”hammered” while others called the tackle ”over the top” and a ”king hit”. John Warren Harsh said on Facebook that the tackle ”could have seriously injured the guy, who, whilst he shouldn’t have been doing what he was, didn’t deserve that treatment”. Do our readers have any other cases of NZ victim blaming they’d like to tell us about? In March 2012 Hemopo was selected to play for the under 21 Maori team. Kiwis Hatred For The English, Australians, French …Tout le Monde? Seems usual Kiwi double standards or are at play, I didn’t see anyone quite so outraged or keen to tackle the chick that streaked all the way across the pitch at the ABs game last night. True about the police and outrage of drunken rugby louts. They take the games themselves very seriously down there. If you knew what was good for you, you’d no more streak at a rugby match in New Zealand than you would at a Baptist church service in Georgia. I posit that this is abuse of the intellectually disabled, because who in their right mind, knowing how seriously the meatheaded Kiwis take this stupid sport, would do such a thing in full power of his faculties? Another display of inbred Kiwi thuggery to add to the ‘catalogue of despair’. I can’t believe the outpouring of support today for the security guards action; he deserves an assault charge and the sack for such unnecessary, cowardly, irresponsible and inappropriate behaviour towards a harmless streaker. Cartoons of John Key and the USA A selection of cartoons and images showing how the media has portrayed Johh Key’s trip to the USA, and some related foreign policy issues. Consumers Voice NZ A first-person Community Feedback Forum for Consumers of New Zealand Social Services. Mad About Ads Images I see when walking between my home and Auckland CBD. Updated at least twice weekly. MarGeeMar New Zealand Migration Agents Cheating Malaysians Thousands Of Ringgit! New Zealand Adventure – Going to new zealand on an adventure holiday New Zealand is a most beautiful place its the Adrenalin Sport Capital of the world and its safe, or is it? If you are planning a trip there you need to read this. 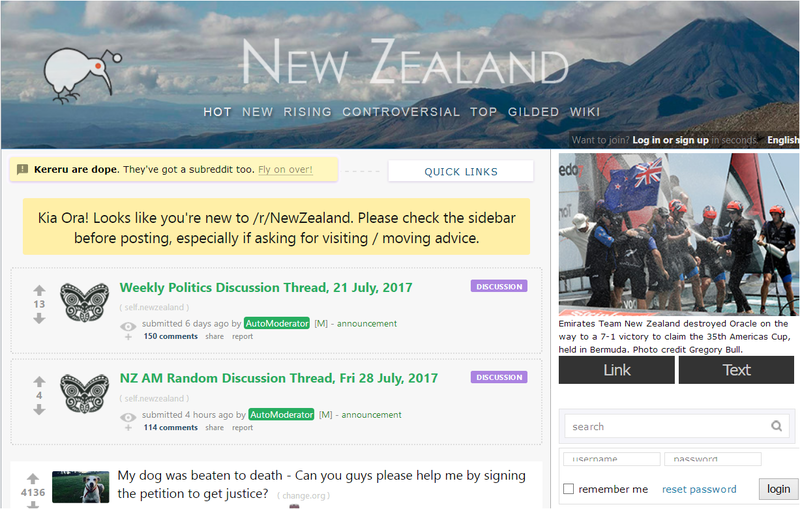 New Zealand on China News and debate from New Zealand on China. New Zealand warnings and dangers (Virtual Tourist) Reviews and photos of New Zealand warnings and dangers posted by real travelers and locals. Walk for Water Quality Walk for Water Quality This is an account of my walk of the Te Araroa Trail of New Zealand, from Cape Reinga, at the top of the North Island, to Bluff at the bottom of the South Island. I’m raising awareness of water quality issues in our country. Will She Be Right Questioning the classic attitude of New Zealanders to life and society. 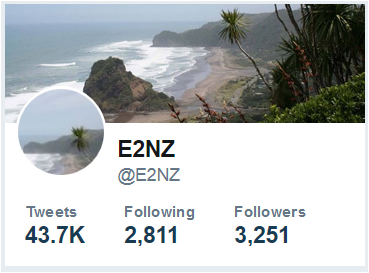 Hobanz Independent guidance and support for NZ home owners and leaky home owners and bodies corporate. Menu Mania Springfield Store & Cafe , 8-10 West Coast Rd, Springfield, Selwyn. The MOST unfriendly cafe in NZ? The Straight Dope The good and bad things about living in New Zealand. A family run business has been stung after an overnight raid. A man has been hospitalised after an incident in Auckland's CBD. Some semi-automatic guns with military features remain legal even after the Government's much vaunted ban. Melagi Vela once failed to take his son to hospital for weeks, despite several broken bones. Side-swiping a trailer was just the first incident of many by a drunk driver on his way across town. In a coma and weighing 45kg, Bruce Rangitutia was patched up and sent back to his carers. Seven months later, he was dead. CCTV captures moment driver ploughed into car, sending it careening out of control. Joshua Farrell's "highly reckless" gambit behind the wheel did not pay off because the police saw everything. Police spotted a stolen car in Waikato but the fleeing driver didn't stop until the car was damaged in Auckland central. Vehicle owner was assaulted with a screwdriver during teen's break-in attempts, police say. “New Zealand Is Turning Into A Really Racist Country” – updated 26 Aug 2015: Skin Heads and Hate Crimes. Ever Had An Intruder In Your House When You Were There? Where To Go In Tauranga On New Year’s Eve?